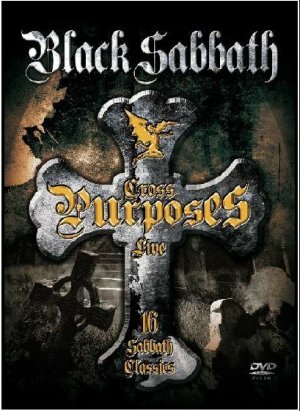 BLACK SABBATH - CROSS PURPOSES LIVE (DVD) | Online Shop | Wizard LTD. Album: "CROSS PURPOSES LIVE (DVD)"
When the lights came up on Black Sabbath in April 1994 at the Hammersmith Apollo in London, the expectant audience were treated to a masterclass in heavy metal by one of the greatest rock bands of all-time. Tony Martin, Tony Iommi, Geezer Butler, Bobby Rondinelli and Geoff Nicholls showcased over two decades of classic rock anthems including Iron Man, Anno Mundi, Children Of The Grave and Paranoid, recognised as one of the best heavy metal songs ever recorded.